Renew today and you won't lose any of your existing SSL Certificate validity. You do not have to be an existing customer. If your existing SSL Certificate was issued by another provider and it is due for renewal, we allow you to take advantage of our renewal benefits. Our system will automatically check in real time if the existing SSL Certificate is valid for renewal. Renewing an SSL Certificate is usually the same procedure as obtaining a new SSL Certificate, which means when you renew it is a requirement to replace your existing SSL Certificate, Private Key and Intermediate CA Certificates within your hosting control panel or server. When renewing you'll benefit from being able to renew early without losing any validity. We don't recommend that customers leave renewing their SSL Certificate until the last day in case of order queuing or delays in processing. We recommend generating a new Certificate Signing Request and Private Key. Where possible avoid using an existing Certificate Signing Request as this will ensure the Private Key will match the SSL Certificate that is issued. If you have generated your new Certificate Signing Request you can proceed to the renewal options below. 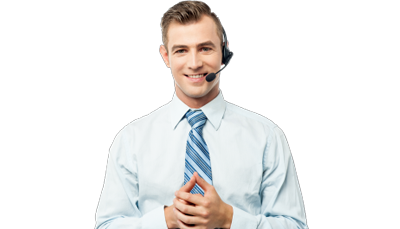 If you would prefer to renew easily over the phone, please call +1 (888) 8300 SSL to speak with a customer service agent who will prepare your renewal order and provide additional information on how to install your renewal SSL Certificate. Renew today and receive bonus days on your order to ensure you don't lose any validity! We'll give you an even bigger bonus if you renew early. Renewal prices are the same as our usual prices with the exception that bonus months are rewarded for renewing early. Your renewal will be valid from the date that your order is submitted and subsequently fulfilled. Bonus days are added to the renewal order date to cover any existing validity. Renewal bonuses are only available for SSL Certificate products. Internet Information Server (IIS) customers should avoid using the "Renew SSL Certificate" option within Internet Information Server (IIS). This is due to limitations of the Internet Information Server (IIS) renewal procedure which may cause the renewal to fail. Servers of all types exchanging information over the internet use Trustico® SSL Certificates to create a private, encrypted channel of communications with those accessing them, preventing unauthorized access of that information by hackers. Servers of all types exchanging information over the internet use Comodo® SSL Certificates to create a private, encrypted channel of communications with those accessing them, preventing unauthorized access of that information by hackers.